@Your Car, you don't exist!!! @Your Car, if you ARE real, then WHERE THE HELL ARE YOU?!?! @true or false, A talking blue CTS will mysteriously appear in your driveway in the next few days. @Shushi, it's official. This community, and I'm including myself, can turn ANY picture into something dirty. I leave my cars stock, you have way less trouble that way. 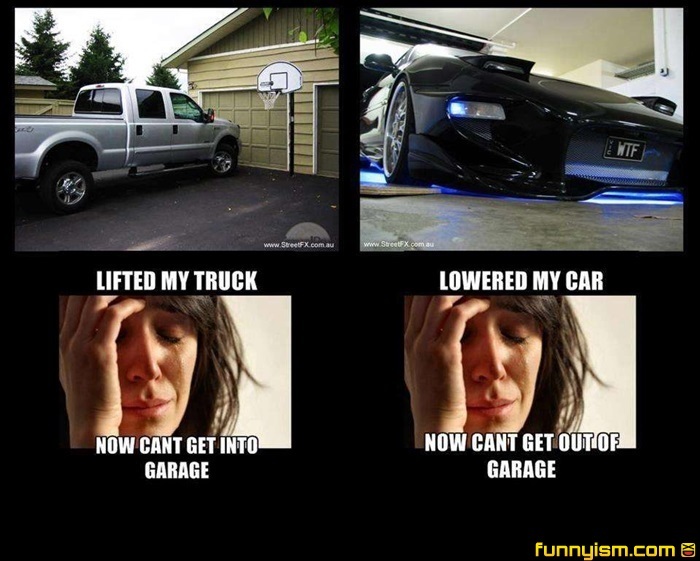 When you put your car in your garage does it say "is it in yet"
@green shirt guy, Maybe the second one, but the truck? Ehhhh not so much..